Girls, do you like cakes? Of course you do! Many of you will answer that they do like cakes! They're delicious, beautiful and nice to eat with friends over a cup of tea. Is that right? How about to learn how to cook it by yourself? And yet it can be decorated with a figure of Minnie Mouse. This will add the uniqueness to your cake and your friends will not forget it for a long time. 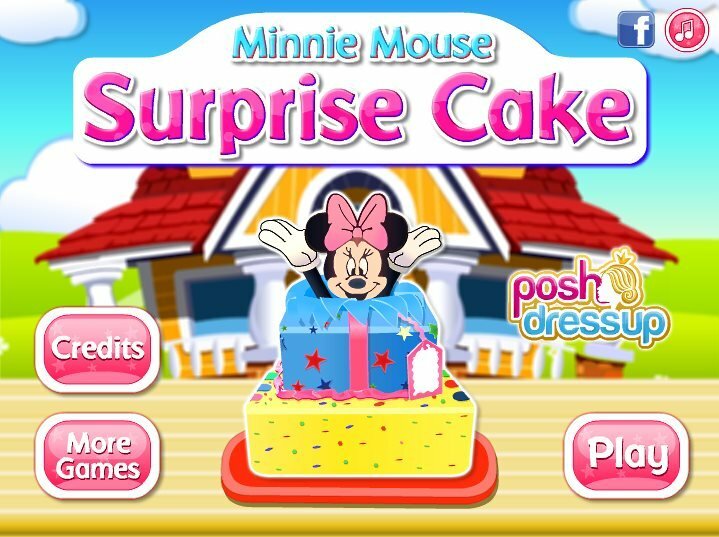 It is enough to play the game and she will teach you to cook this cake. To do this, you only need a mouse and a little attention. 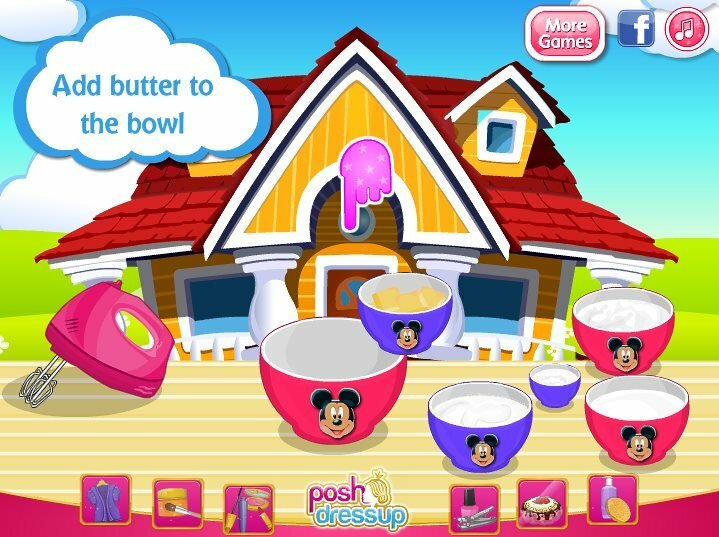 You can play twice to repeat the recipe and remember it. And then you can cook a cake in the kitchen with your mother. Your mother would be delighted! And, you can cook a cake every weekend, or surprise your friend and make it for her birthday! Follow the prompts in the form of finger image and do what is needed at the moment. First you make the dough and then you will bake a cake. Then you need to decorate it, choose the figures. It would be super! Played: 35766. Added: 22-06-2015, 20:31. 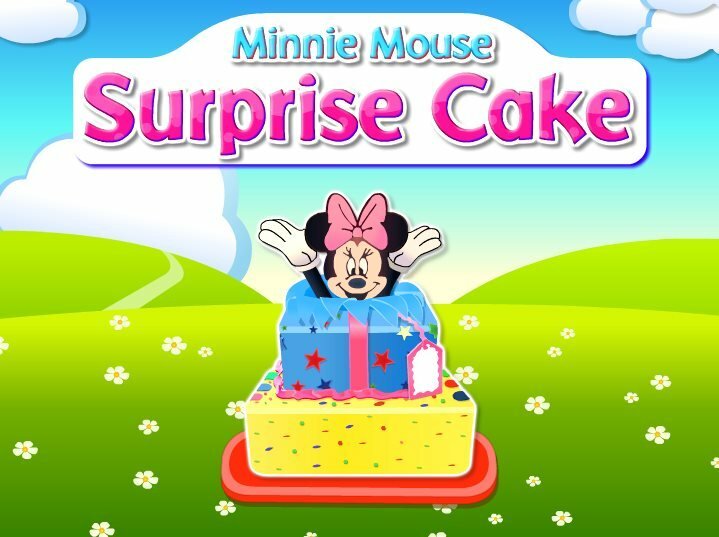 Minnie Mouse Surprise Cake game. Create this cake or any you like. Add butter to the bowl. 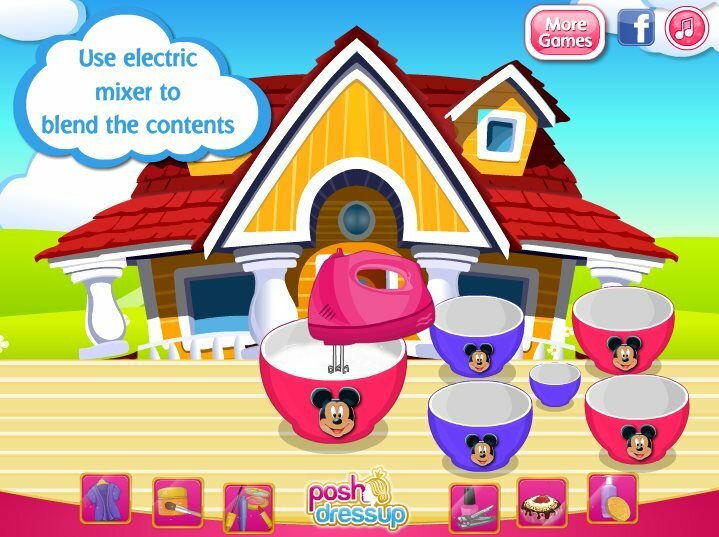 Use electric mixer to blend the contents.